As the Friends of Hunslet Moor, we love this large patch of green space in the middle of our community. It provides somewhere for children to play, people to walk their dogs, and for others, somewhere to simply enjoy green space. Sadly, a mixture of people not caring about litter, and the power of the wind, has also made the moor a litter trap. We know the Council struggles to keep it as spotless as we would like due to all the other places they need to clean. That’s why we started to help and set up our Friends group. 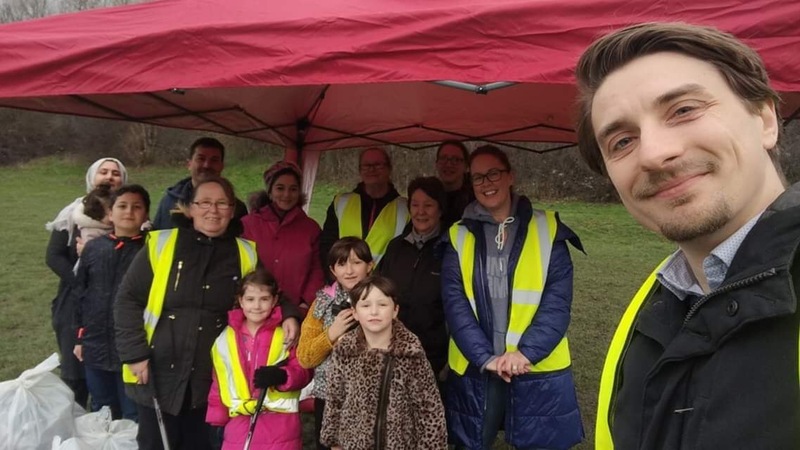 On Saturday 26 January 2019, the Friends of Hunslet Moor had our biggest ever community litter pick. We collected 33 bin bags of rubbish in just over an hour and a half. We’re so thrilled at how much we did, we’re planning a litter pick on the last Saturday of each month going forward. So, come and join us on Saturday 24 February on Hunslet Moor at 12pm, as we deep clean a different area. We have all the equipment you need. It’s a wonderful social occasion, and you’ll also be provided with refreshments.